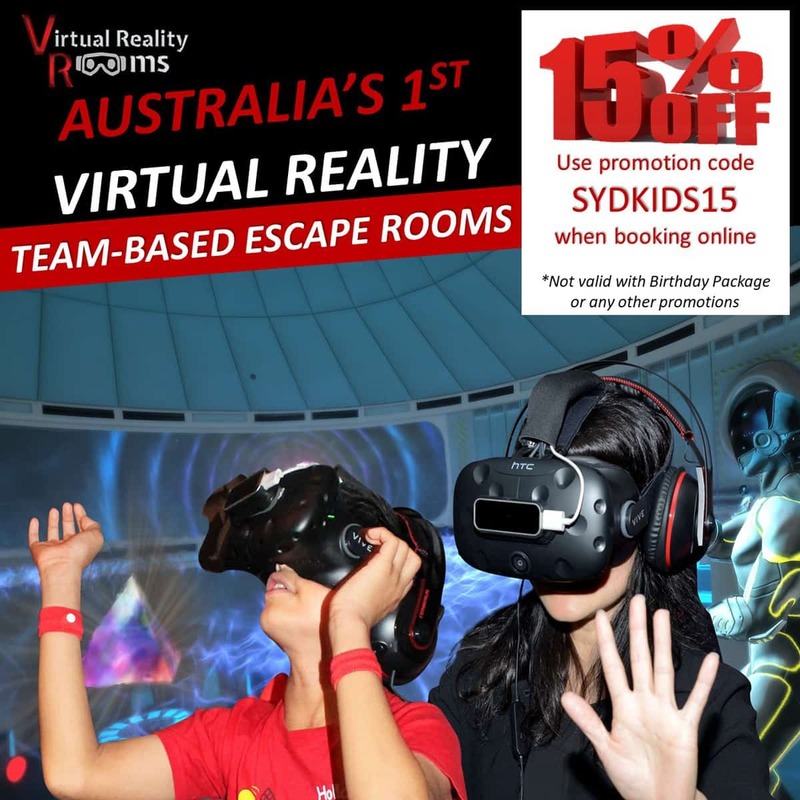 The Milk Factory at Wyong is fantastic for families who are heading north out of Sydney on the M1. 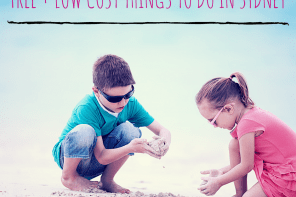 We’ve already visited with our family twice, and are planning another trip soon! The Milk Factory was originally built for the local farmers’ co-op in the early 1900s and now houses a café, chocolate factory, cheese factory, boat hire, playground and more. Our kids were immediately drawn to the gated playground. 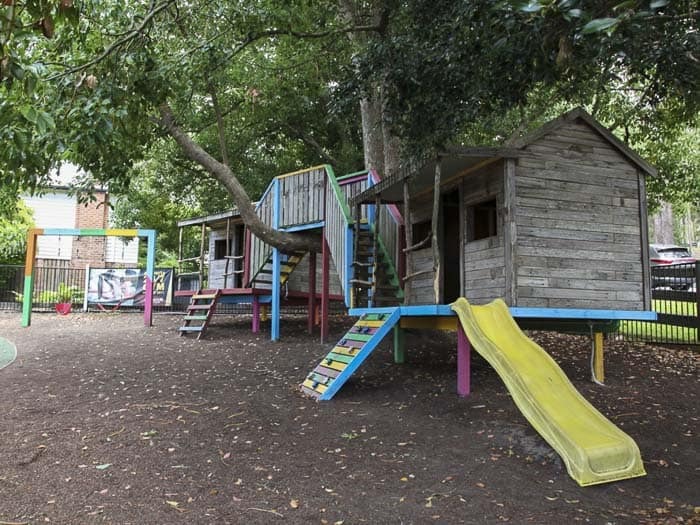 It is well equipped with a colourful double cubby house, a slide, swing set, and a pirate ship. There are also several large trees which provide ample shade even on a hot day. 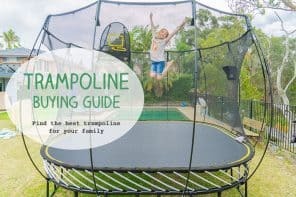 If you’ve brought your own lunch or just want to grab a takeaway coffee from the café whilst the kids play, there are three picnic tables within the playground area. After a good play and run around, it was time for us to head over to the Milk Factory Café for a bite to eat. They open daily for breakfast from 7am (8am on the weekends), however we opted to have an early lunch, which starts at 11:30am. There is plenty of outside, sheltered seating, as well as an indoor air-conditioned section that has pram and wheelchair access via a ramp. The staff were friendly and extremely patient with us, as we struggled to decide what to order. Highchairs are available and there is a $10 children’s menu. 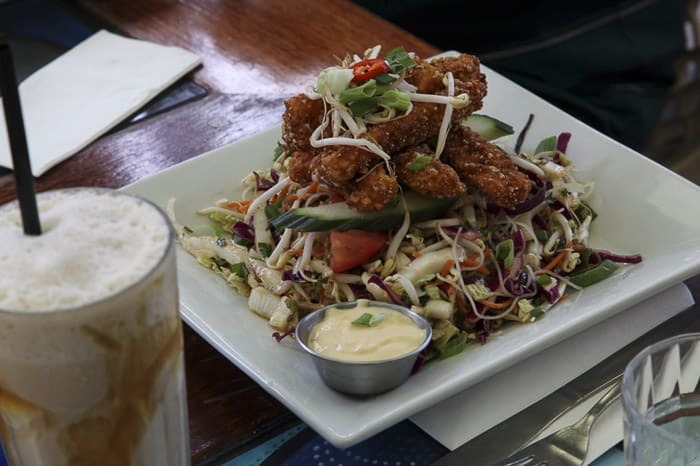 We ordered fish and chips for the kids to share, as well as a chilli squid salad and a haloumi & cous cous salad. Mains are around $18; the servings are huge and the food delicious! 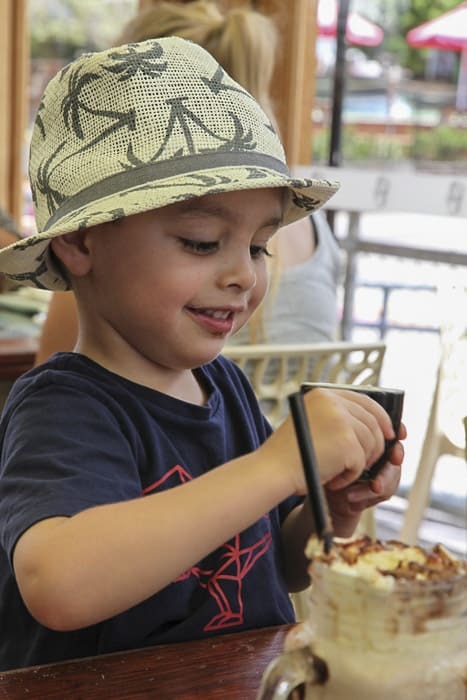 The kids were well behaved during lunch with the promise of a chocolate factory visit, so it wasn’t long before we made our way next door to Luka Chocolate Shop. 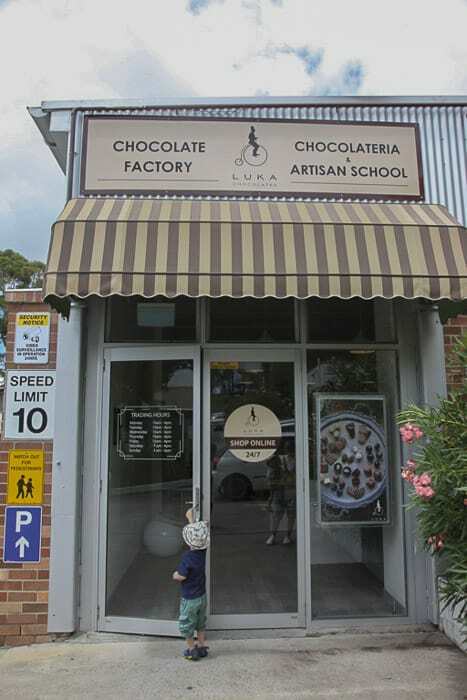 This lovely artisan Australian chocolate company was established in 2011 and is open daily 10am to 4pm. 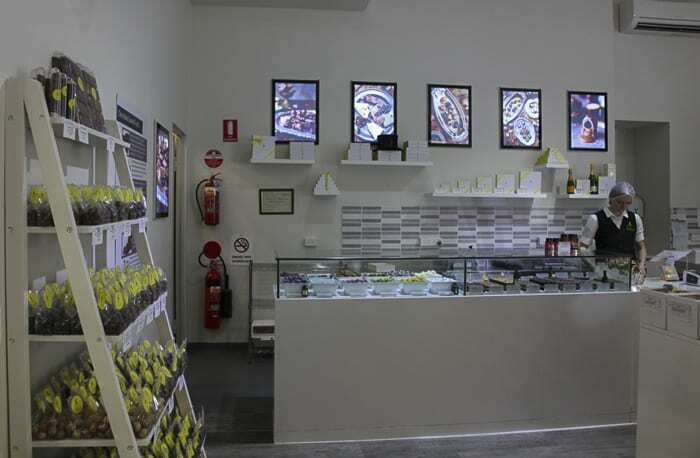 There is a large glass window that looks into the chocolate making area, shelves jam-packed with chocolates and confectionary, and a countertop with individual handmade chocolate priced at $2 a piece. A tray of milk and dark chocolate samples appeared from behind the counter, and we were all invited to take a cup each. 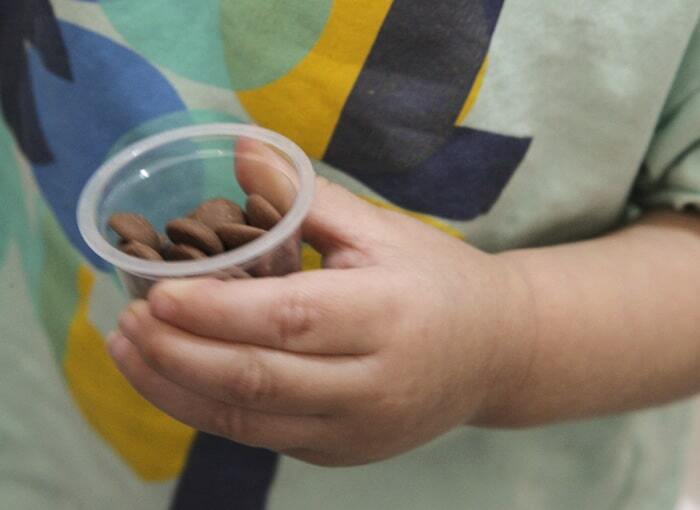 For the next five minutes our two boys were completely silent as they devoured the chocolate buttons. This gave us some time to browse and buy a couple of chocolate bags including some fantastic dark chocolate covered macadamias. 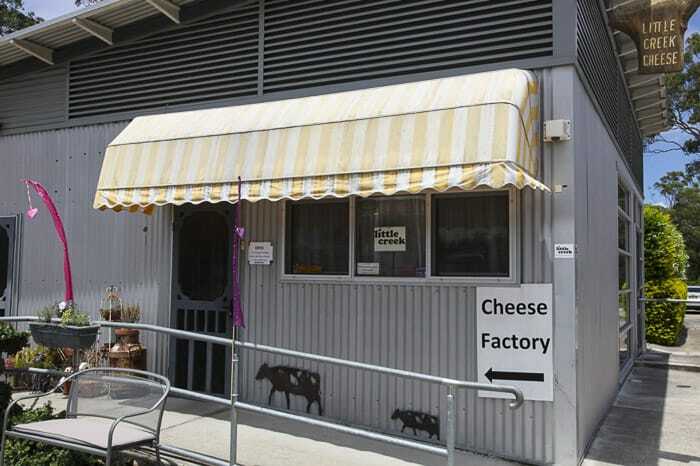 Just across the pathway is another shop worth visiting, a little cottage that houses the Little Creek Cheese Company which is open daily 10am to 4pm. 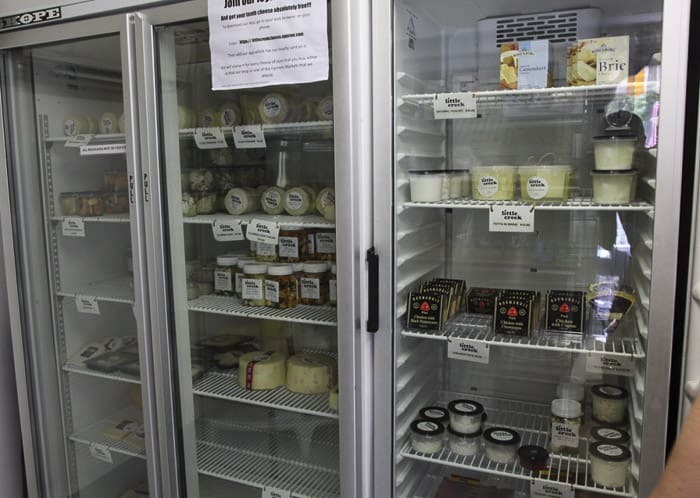 There are several fridges with a wide selection of cheese and other dairy products, and at the front counter, a staff member will take you through a complimentary tasting. We chose a lovely walnut and fig cheddar for our cheese platter that night. 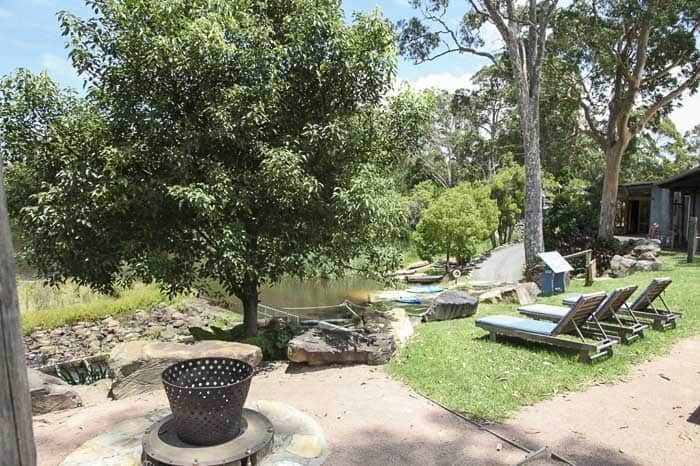 We then walked a little further to find Allsorts Gym and Boat Hire which has a gym and pool overlooking the bush and Wyong river, as well as co-ordinating boat hire (daily from 6am to 6pm, bookings essential on 43523811). There are rowboats and double kayaks for hire ($30/hr or $90/4 hours) as well as stand-up paddleboards ($15/hr or $45 for 4 hours). The kids excitedly waved to a family of four who were paddling a rowboat down the river. Next visit we will try to make some time for the boat hire as it really looked like fun! 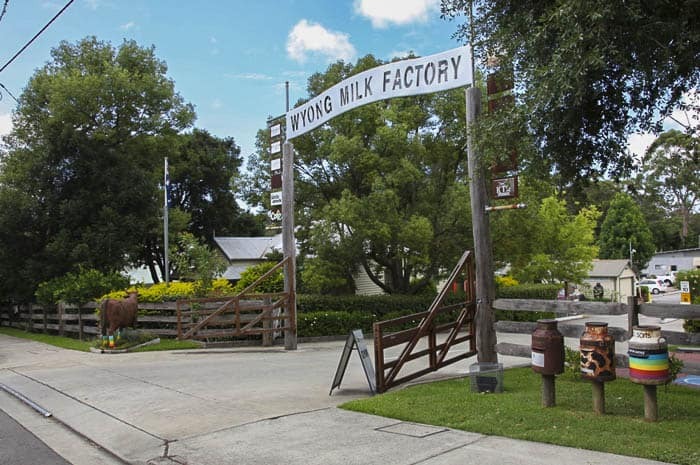 Click here for Wyong Milk Factory on Google Maps. 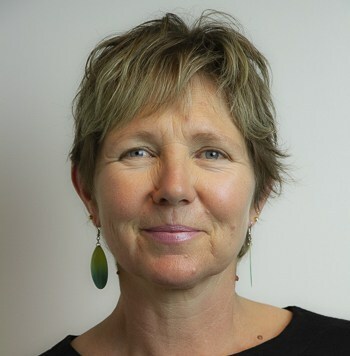 Toilets: There is a well-equipped amenities block at the Milk Factory, including a dedicated Parents room with baby change, kid-sized toilet, feeding chair, and a shower. Nearby Takeaway Coffee: Yes, you can grab a takeaway coffee from the Milk Factory Café. There are picnic tables and bench seats within the playground area. Shade: Yes, lots of natural shade from large trees. Parking: Yes, plenty of free, untimed parking within the complex. The indoor air-conditioned area in the Milk Factory Café can get quite busy, so it can be a good idea to book a table in advance especially on weekends or in summer if you wish to sit inside. However, there is usually plenty of outside, sheltered seating available. If you forget a cooler bag for your cheese and chocolate purchases, the Milk Factory Café sells a very cute “Milk Factory Cooler Bag” for $6. 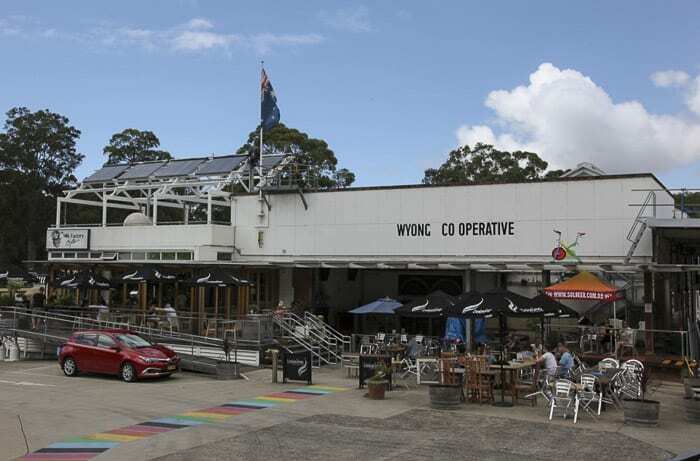 Since our visit last month, a new food venue called the “Wyong Milk Factory Tavern” has also opened up in the complex. 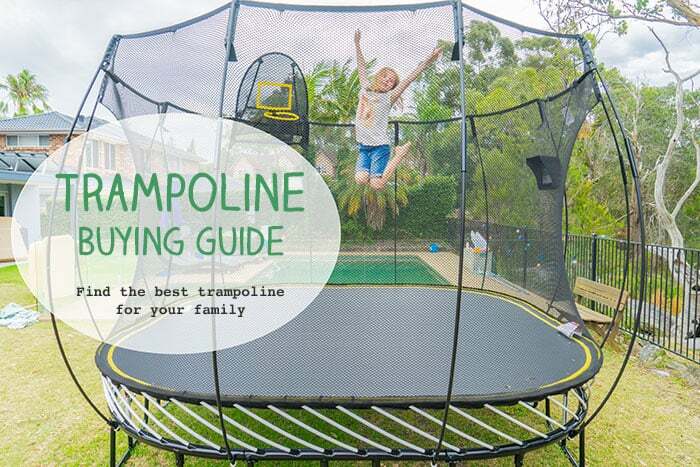 It is open from Wednesday to Sunday (11am to 10pm) and looks awesome on the website. 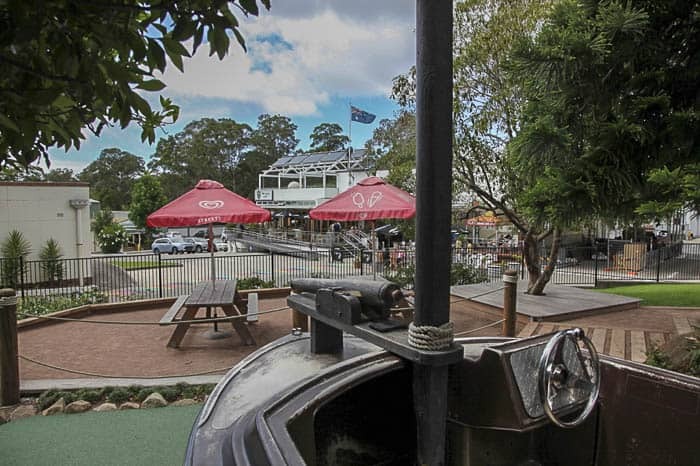 It consists of a “rusty udder” bar, beer garden with pub food and a dedicated kids menu as well as an indoor kids playzone. 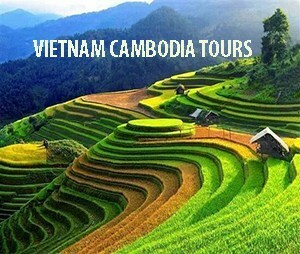 We will definitely be checking it out on our next visit! 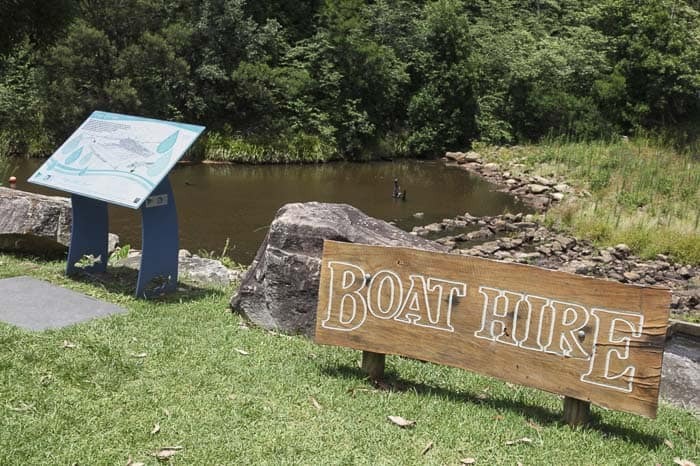 This is our favourite pit stop when travelling north on the M1 from Sydney, but it can easily make a great day trip as well. 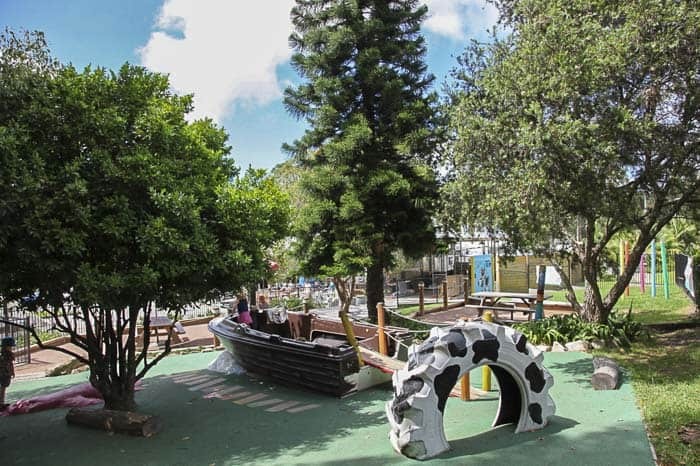 The combination of shaded fenced playground, kid friendly café, chocolate factory and cheese factory plus plentiful parking and a fantastic parents room makes it an absolute winner! 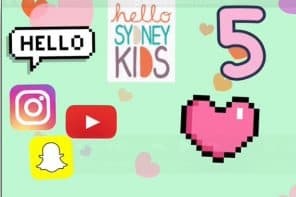 Thank you Nikki, this looks a great spot for Sydney families and definitely worth a day trip! A fantastic post! Can’t wait to visit. Will definitely have to set aside a weekend to do this as a Saturday day trip! Yes, I think it’d work very well as a day trip, or combine with one other thing close by.